Sponges, tweezers, and surgical gloves are only a few types of surgical objects commonly left inside a patient after surgery. 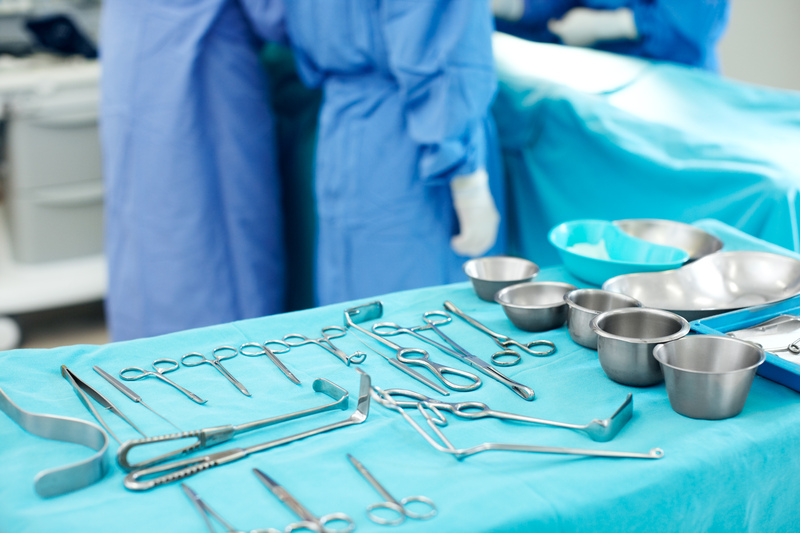 Research has reported that thousands of cases occur each year where surgical objects are unintentionally left in a patient. The effects are serious and occasionally, life-threatening. Why are surgical objects left behind in a patient, post-surgery? Nurses and surgical technicians typically keep track of the number of surgical tools and materials used during surgery. However, fatigue, procedures involving multiple surgical teams, or unexpected surgical changes during the procedure are common factors that lead to human errors in surgical counts. BCIT Nursing Instructor Manu Gill is leading a research project using augmented reality (AR) to improve patient safety by ensuring that all surgical instruments are accounted for in the operating room. The project is a collaboration with Dr. Chris Nguan, MD, FRCEC, Urology at the University of British Columbia School of Medicine. A prototype will be developed using a camera-based sensor and an on-board computer to image and classify surgical items in real-time. A data-set of surgical images will then be recorded and used to train a machine-learning algorithm. This algorithm will be the core of the system and will be used to intelligently detect and classify a surgical item in an image. This is one of the many projects that BCIT researchers are working on to solve real-world problems, such as patient safety. Read the new BCIT Applied Research brochure for more stories on applied research projects at BCIT. For the latest applied research news, follow the BCIT Centre for Applied Research and Innovation (CARI) on Linkedin. If you’re interested in interviewing Manu Gill, BCIT Nursing Instructor, on this project, please contact Amy Chen, 778-384-7245. Interview opportunities also available for other applied research projects.